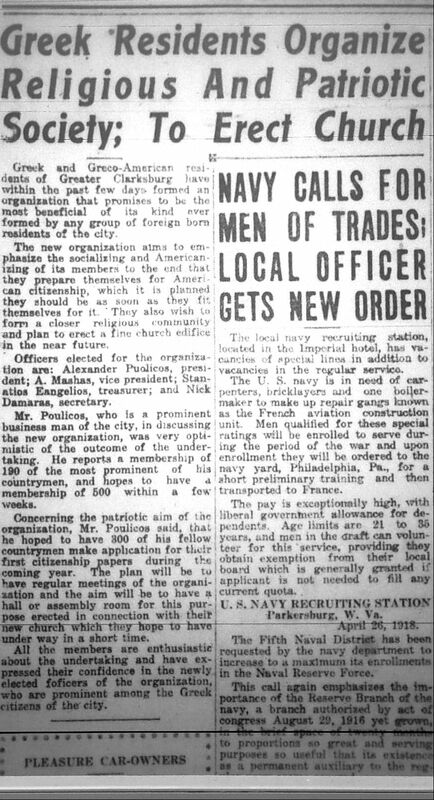 As the U.S. officially entered World War I on April 6, 1917, Harrison County’s immigrant populations actively participated in the war effort either by joining military service or supporting war effort fundraisers. 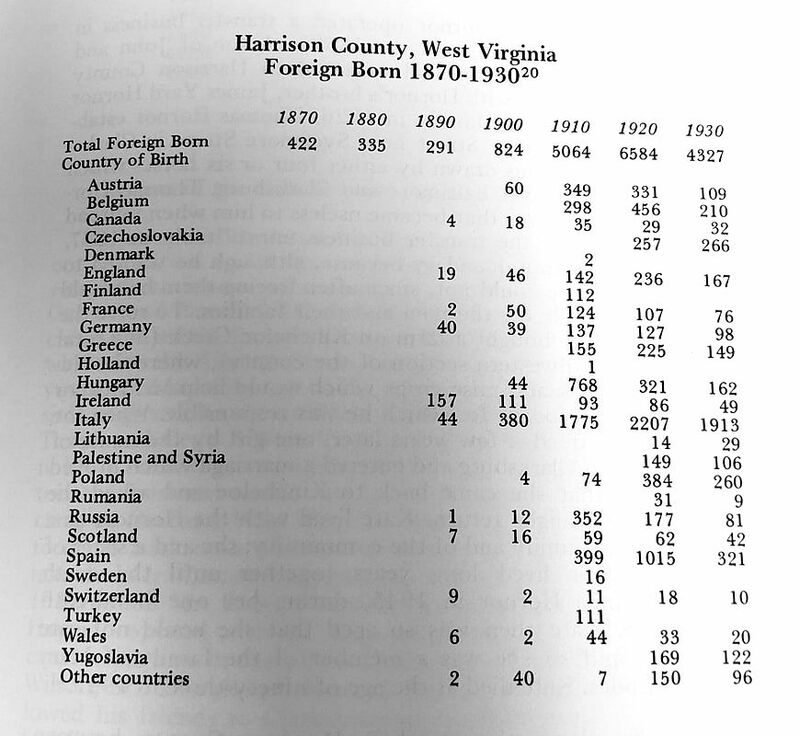 In fact in Harrison County, many yet-to-be naturalized immigrants expedited their citizenship in order to serve in the military. 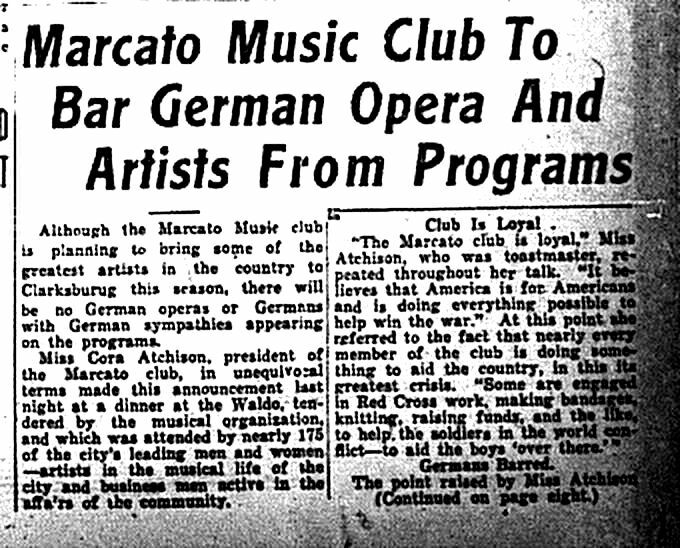 The Marcato Music Club banned members from performing works from German composers. 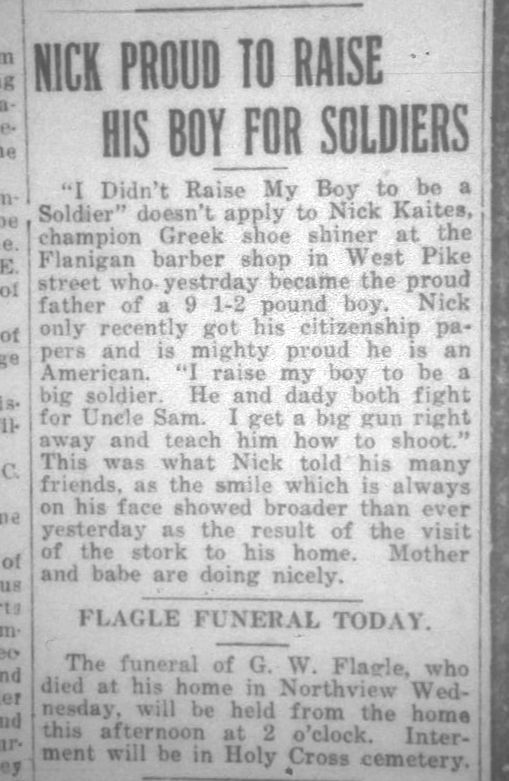 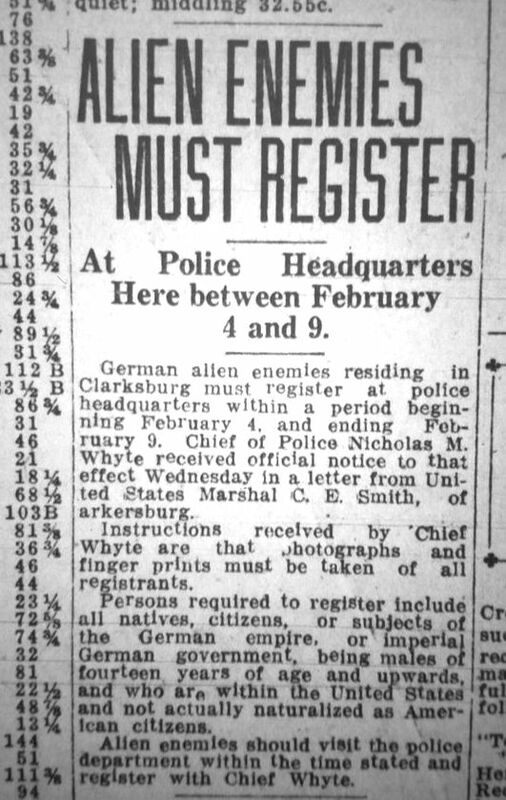 City of Clarksburg passed an ordinance requiring all un-naturalized male Germans 14 years and older living in the city to register with the police to be photographed and fingerprinted between February 4-9, 1918. 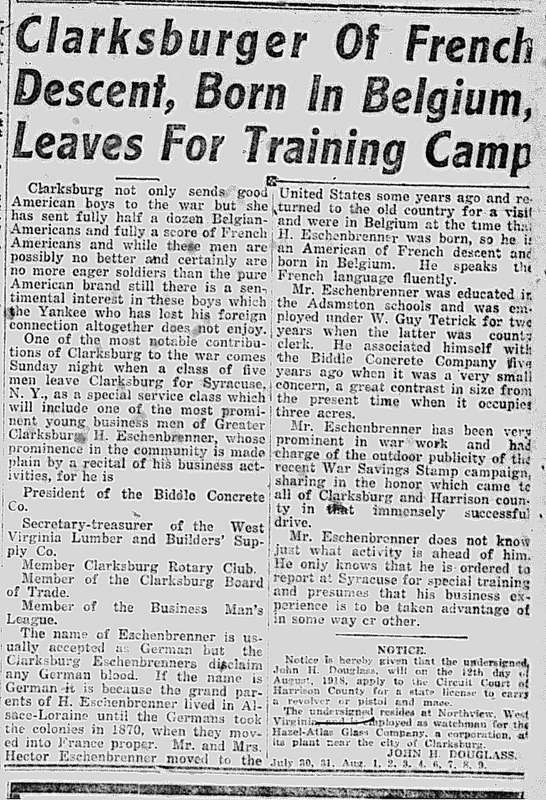 Clarksburg Rotary Club passed a resolution petitioning the U.S. government to crack down more on pro-German sympathizers. 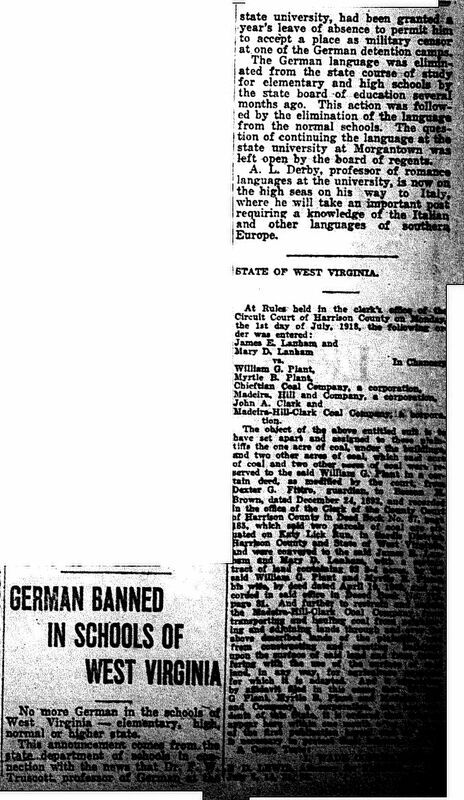 WV Department of School prohibited teaching German as a foreign language at all public schools. 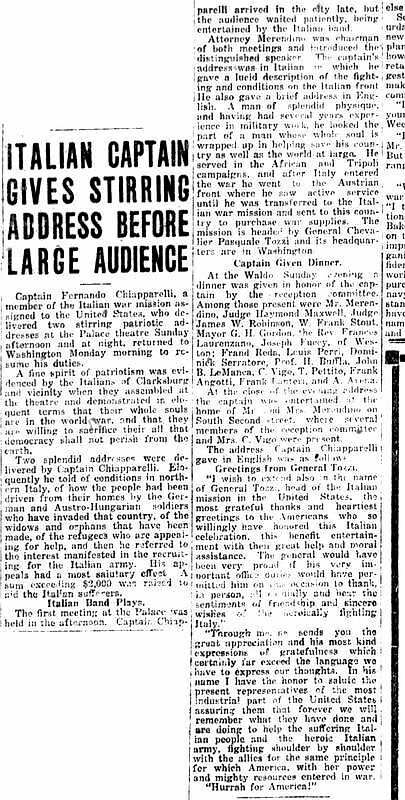 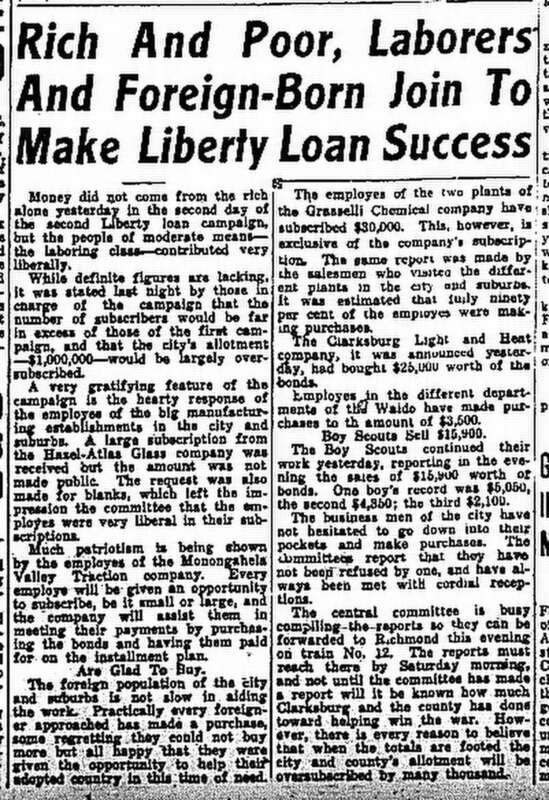 However, the local citizens’ concerns of German spies in Harrison County turned out to be unfounded. 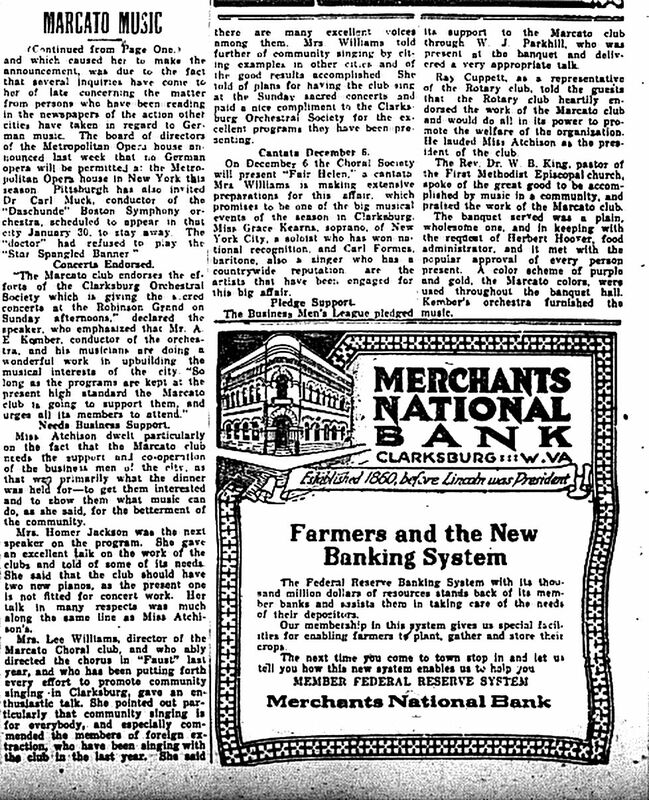 These rumors often created hysteria among the natural citizens and fear of retaliation among the immigrants.